Wisconsin native milkweed and other native plant seeds require a prolonged period of cold before they can germinate and grow, said Caitlin Williamson from the Wisconsin Monarch Collaborative , a group of more than 40 federal and state agencies and nonprofit and business organizations. 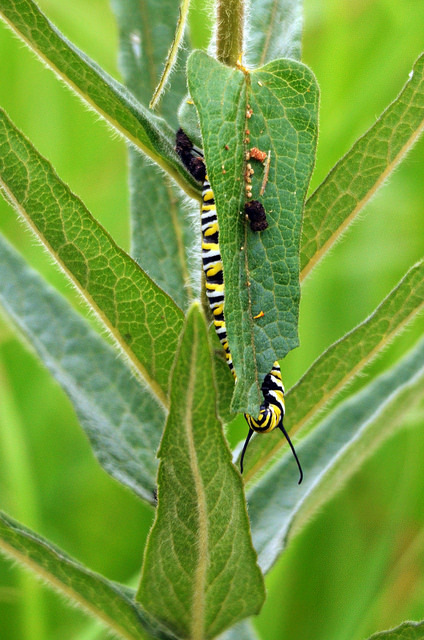 Nearly any native plant will help, but nectar plants like goldenrod, black-eyed Susans, coneflowers and blazing stars are best, Williamson said, also pointing to the Wisconsin Monarch Collaborative's list of the top 12 species  to grow to help monarch populations. For a population that has declined by nearly 90 percent in just the last couple decades, every bit helps, Williamson said, noting that the U.S. Fish and Wildlife Service is expected to decide whether to place the monarch on the Endangered Species List in June of next year .